How to Analyze Interest for a Bubble Soccer Franchise in Your Area? Bubble Soccer (Bubble Ball) is a wild new sport that’s blowing up across the nation. If you are reading this article, you probably know what its all about, but if your new to the sport, it’s basically soccer played wearing giant bubbles, and it is a complete blast. Rumbling, Stumbling, Bumping, it is a fun active sport, and controlled chaos. Bubble Soccer is expanding rapidly across the country, and you may be interested in starting a Bubble Soccer franchise, but how can you analyze if there is enough interest in your area to support a bubble ball franchise? Before starting any new business, a certain amount of research is a good idea. The more the better actually, but market research is highly recommended. Most of this can be done on the internet these days, but it’s also helpful to go out and meet with some local experts, like college business professors, or the local SBA office, your Chamber of Commerce face to face. It would also be a great idea to talk with some people in the sports industry, like other adult sports league managers or the administrators of your local sports facilities. Market research should be done before starting any business and should also be done continually by operating business. You just need to know your market place and customers and keep a pulse on the trends. The following are some of the areas of market research in which you should explore to determine if there is interest for Bubble Soccer in your market. Local Sports Market Research as much as you can about the local sports market. How many adult sports leagues are there? Which leagues are on the rise and which are declining? Where are sports activities held? How many health clubs are there? Do you have enough active people in your market to support sports activities? Having a market with sports activity on the rise is a positive indicator your area may have interest in Bubble Soccer. One key factor for your market, if there is an existing Bubble Soccer franchise near you? And how far away is the closest franchise? Bubble Ball is still new and in some areas, you may have the golden opportunity of being the first to bring Bubble Soccer in. Being the first to market is an incredible business advantage. Local Sports Consumers Before starting any business, it is very important to understand the consumers in your market. Define your marketplace geographically. How far are people willing to go to play in a league? How far are you willing to go to set up for parties and events? Answer these questions to define your area and then analyze the consumers in this area. Estimate your potential customers purchasing power, based on their per-capita income, their median income level, the unemployment rate, population and demographic factors. Evaluate the current sales on similar leagues and services to determine the current sales volume in your area. Competitive Analysis Make a list of all sports leagues and event services you would be competing with. Rank them by strength and research each one to find out which are growing, and which are on the decline. Is your market supporting all of them? Understand how each of them can affect your Bubble Soccer business as well as how your business will affect them. Bubble Soccer is growing fast and there are opportunities just about everywhere, but to know for sure you need to analyze the interest in your area. 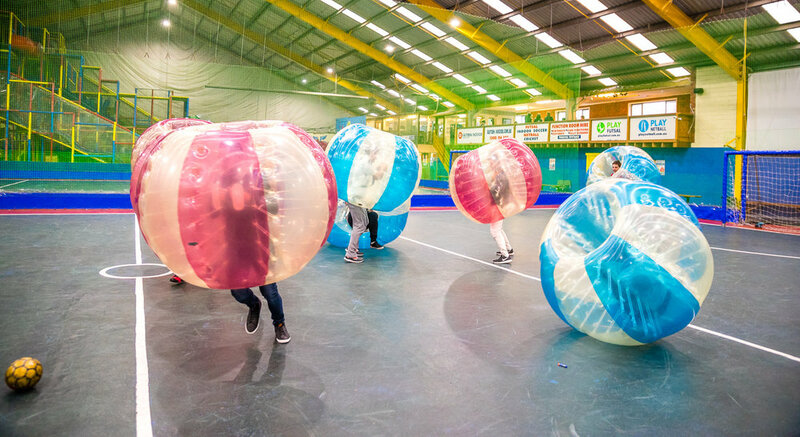 Bubble Soccer is an exciting sport, but it is new and while most communities like new things, you need to be in an area with active people, who will like running and jumping, and bumping around.